Wadesboro is proud of the amenities it offers its residents and visitors from the renovated community theatre for live theatrical and musical productions to the four historical museums administered by our local historical society to our local artisans creating North Carolina pottery right here in Anson County to our many outdoor recreational opportunities. 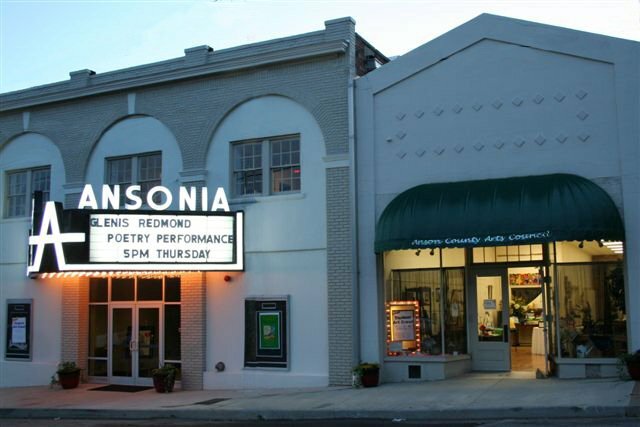 The Anson County Arts Council presents live theatrical and musical productions in this renovated community theater, the Ansonia Theatre. The Ansonia was a vaudeville-era theater and can seat 273 people. Visit Anson County Arts Council or Ansonia Theatre for more details on upcoming events and shows. 704-694-4950. 112 S. Rutherford Street. The Hampton B. Allen County Library features an extensive and well-used geneaology room, a childrens' section plus computers and printers for patrons' use. The Anson County Arts Council has an art gallery featuring local artists at its gallery/office on Rutherford Street. The Arts Council hosts Sunday afternoon art shows featuring local artists during the year. Check Anson County Arts Council for more details on upcoming events and shows. Or call 704-694-4950. 112 S. Rutherford Street. In addition to the Arts Council gallery, you'll find work by local potters at Granny Hollow Pottery and Price's Place. The Historical Society offers a wealth of information about the history of Wadesboro, Anson County and its citizens. A walking tour brochure of our historic downtown district is available at the Historical Society office or at the Anson County Chamber of Commerce for $5. 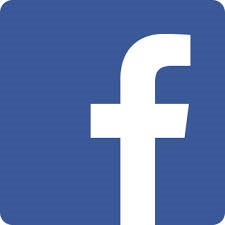 AnsonHistoricalSociety.org. 704-694-6694. 206 E. Wade Street. 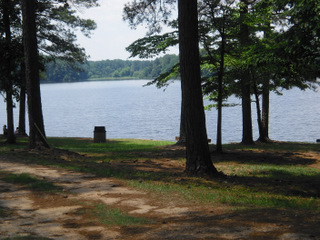 • City Pond, a municipal 190 acre lake for fishing and boating. A picnic shelter is available for rent. Bank fishing. Boat rentals. Playground for children 2-5 years of age. 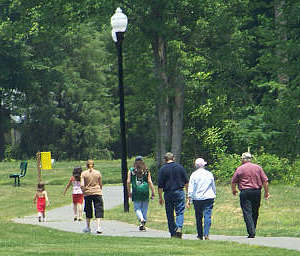 • Wadesboro City Park with two shelters, a playground and 0.8-mile walking trail. • Little Park, a county-maintained recreational facility offering ballfields, soccer fields, tennis courts, playground, picnic shelters, swimming pool, walking trail and 2 acre pond. Athletic and youth programs are also offered. Check Anson County Parks and Recreation for more details. • Ray Shelton Ballfield with lighted softball field. • Twin Valley Country Club has an 18-hole golf course open to the public. The 18-hole course was designed by Donald Ross/Gary Player and opened in 1935. The public course is open year round and offers a pro shop, food, carts, bar, driving range, chipping green, putting green and locker rooms with showers. Golf lessons are available. 2305 Country Club Drive; phone 704-694-2336. Local Produce Stands and Farmers Markets - Don't miss the fresh produce at two locally-owned fresh produce stands plus three Farmers Markets during the growing season. • Pee Dee Orchards - a regular stop for many travelers on the way to the beach. A selection of different varieties of peaches throughout the season from May to October. Highlights: Juicy fresh peaches and fresh peach ice cream. Locally owned. • Peaches 'n Cream - Order a dish or cone with fresh made ice cream and rest awhile in one of their rockers. Highlights: peach cobbler, a variety of fresh produce and fresh made ice cream. Locally owned. • Uptown Wadesboro's Farmers Market at the Town Square, every Thursday from 4:00 to 6:00 pm, starting in June through end of season. • Anson County Farmers Market on Hwy 52 on Wed. and Sat. 7:30 am to 1:00 pm offering fresh local produce by local farmers. • Tailgate Market Place on Hwy 74 on Fri. and Sat. offering fresh produce by local farmers. Wadesboro’s uptown historic business district (listed on the National Register of Historic Places) is bounded by Martin, Rutherford, Morgan, Lee and Brent Streets. The Uptown Wadesboro business district boasts architecture reminiscent of its long history as a cotton and textile town when Wadesboro was the center of shopping, entertainment and dining for all of Anson County. The architecture of the historic district and surrounding neighborhoods includes examples of Italianate, Victorian, Colonial Revival, Craftsman Bungalow and Gothic Revival styles. Many homes and buildings in Uptown Wadesboro have retained their historical integrity including the 1894 HW Little & Co. Hardware building at 109 S. Greene Street, an old-fashioned hardware store in the same family since 1894. 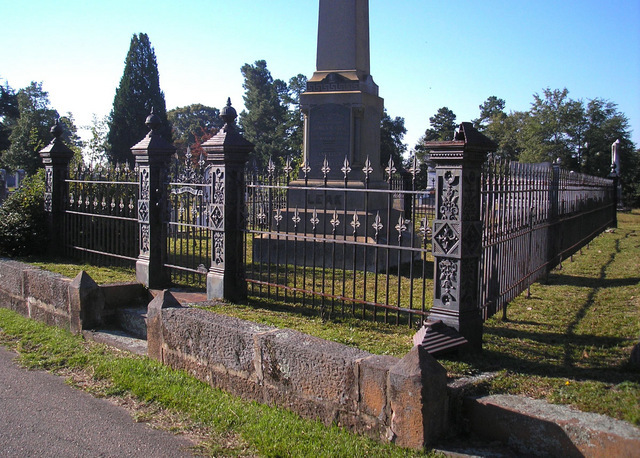 A self-guided walking tour of historical Uptown Wadesboro offered by the Anson County Historical Society is available for $5 at the Chamber offices at 107 E. Wade Street ) or at the Historical Society office at 206 E. Wade Street (call ahead 704-694-6694). BY APPOINTMENT ONLY. Please call ahead to schedule a visit 704-694-7016. 520 Camden Road, Wadesboro, NC.